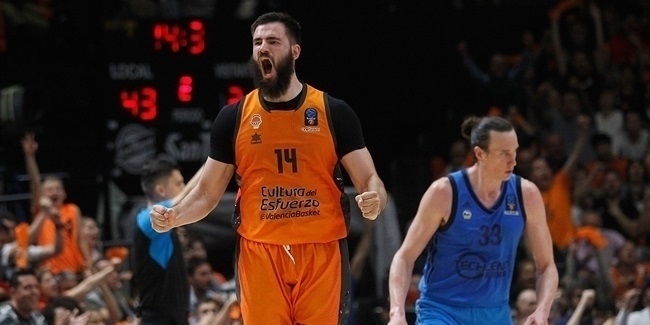 A familiar face these last weeks emerged once again for Valencia Basket, as Fernando San Emeterio claimed MVP honors also in Game 3 of the semifinals with a performance index rating of 21 to lead his team into the finals against Unicaja Malaga. San Emeterio led the way for the winners with 15 points, 4 assists, 2 steals and 4 drawn fouls. San Emeterio also won the MVP honors in Game 1 of the series plus Game 1 of the quarterfinals. Tied with him was Hapoel Bank Yahav Jerusalem's Amare Stoudemire, also with a PIR 21, thanks to 17 points and 3 rebounds, but he was not eligible for the weekly accolade due to playing on the losing side. 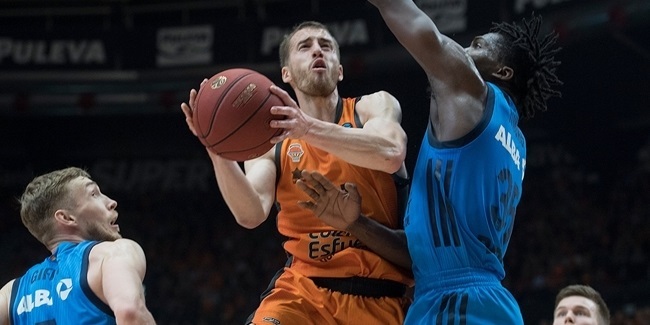 The top individual performances in the game were completed by Valencia's Luke Sikma (PIR 19), Rafa Martinez (PIR 18) and Bojan Dubljevic (PIR 12). Not much to choose from this week with just one game being played. Hapoel's Curtis Jerrells led all scorers with his 21 points, followed by Stoudemire's 17. Dubljevic led the rebounds department with his 7 boards, while San Emeterio and Martinez had 4 assists each to become the best passers in the game. On the defensive end, Hapoel's Tarence Kinsey shined with his 3 steals while Stoudemire also did well in defense with his 2 blocks, the most by any player in Game 3. 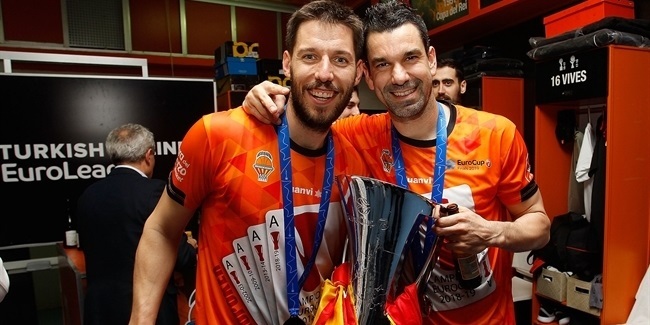 With the semifinals now over, the final stage of the season will start next March 28 in Valencia with Game 1 of the best-of-three series between Valencia and Unicaja Malaga. The winner will become the 2016-17 7DAYS EuroCup champ!